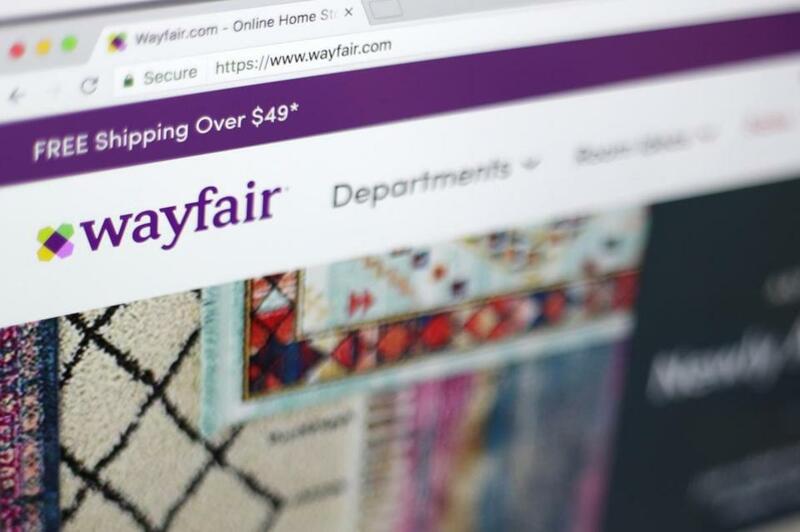 The lawsuit is part of the fallout from a June US Supreme Court decision allowing South Dakota to collect sales taxes from Newegg, Overstock.com, and the Boston-based online home furnishings retailer Wayfair. Six e-commerce companies have gone to court to stop the Massachusetts Department of Revenue from demanding $3 million in retroactive tax payments on online sales. The online retailers, including electronics vendor Newegg, jewelry seller Blue Nile, and US Auto Parts Network, have sued the DOR in Suffolk County Superior Court, claiming the state’s demand for retroactive tax payments is illegal and discriminates against out-of-state sellers. The lawsuit, filed earlier in December, is part of the fallout from the decision in June by the US Supreme Court allowing South Dakota to collect sales taxes from Newegg, Overstock.com, and the Boston-based online home furnishings retailer Wayfair from its local customers. The ruling set a new precedent for tax collection, as it determined that Wayfair and others were responsible for remitting local sales taxes even in jurisdictions where they did not have a physical presence, such as a store or warehouse, which previously had been the longstanding test for such tax decisions. While that opened the door for state and local governments to require out-of-state online retailers to remit sales taxes, it left open the possibility the Supreme Court might strike down any regulation if it imposed an undue burden on retailers. And that is what Newegg and the other litigants are alleging. In the Massachusetts case, the state is seeking tax collections for online sales that occurred before the Supreme Court ruling, dating back to October 2017, when the Department of Revenue issued a regulation on such sales. “The department is impermissibly seeking to require companies to pay taxes for periods before the United States Supreme Court changed the law,” said Matthew Schaefer, an attorney representing the six retailers. Schaefer said that he knew of no other US state that has sought to collect online sales taxes retroactively. The DOR said it would review the matter once it receives notice of the lawsuit. The Massachusetts regulation had already been under fire in a lawsuit filed by the Virginia-based audio systems retailer Crutchfield, which has argued the rule is unduly burdensome. Now, Newegg and other plaintiffs are making essentially the same argument: that the regulation is so unfair it should be thrown out under the Supreme Court’s warning about undue burdens. Sales taxes are paid by buyers, with the retailer acting as the government’s tax collector. Prior to the June Supreme Court ruling, online retailers weren’t required to collect sales taxes from customers in states where they did not have stores or other physical presence. So those retroactive payments would have to come from the retailers’ own pockets. Newegg said this puts out-of-state retailers at a disadvantage against Massachusetts-based retailers, which had been subject to state taxes all along and collected the money from customers. The suit alleges that this disparity amounts to discrimination against interstate commerce, which would violate the Commerce Clause of the US Constitution. Moreover, Schaefer said that the demand for retroactive payments discriminates against online retailers because it doesn’t apply to companies that sell through other channels, such as television infomercials. Schaefer claims this violates the federal Internet Tax Freedom Act, which says that online businesses can be taxed only in the same manner as businesses not based on the Internet. That would mean that the state could not seek retroactive sales tax payments from online retailers unless it did the same with vendors that sell through TV infomercials or printed catalogues. On that basis, Schaefer has asked the local court to block the entire Massachusetts regulation, not just the state’s ability to collect retroactive tax payments. This story has been updated to reflect a response from the Mass. DOR.